Enjoy the circus life at Moon Games by playing Jack In the Box slots. Get ready to enjoy the numerous features like free spins, bonuses, expanding wilds and mega wilds. The circus has landed at Moon Games and you can be the spectator of many features! This creation of Pariplay boasts 6 reels and 100 paylines. You just need to step into the game by hitting the reels of the show. 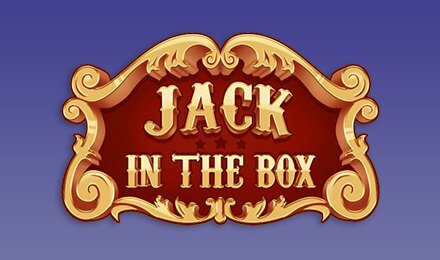 The amazing sights and surprises of this circus themed game will entice you on the reels of Jack In The Box slots. As you hit the reels of this game, you will in be awe through features like free spins, Jack In The Box bonus, expanding wilds and Mega Wild.